Shark fins may be back on the menu in Toronto. Ontario Superior Court Judge James Spence has ruled that Toronto's ban on the sale of shark fins and other such products is not valid. Spence said that the city does not have the power to enforce such a ban. "The power to deal with municipal issues is a broad power," Spence said. "However, that fact does not mean that an issue is a municipal issue merely because a policy decision is taken by city council that an issue is important." Members of the Chinese business community had challenged the ban after city council passed a bylaw in September that banned the sale of shark fin products for environmental and health reasons. It passed by a vote of 38 to four. Shark fins are sometimes used in soup at traditional Chinese weddings. It is a delicacy that can cost up to $100 per bowl. Those who support the ban have said sharks are slaughtered inhumanely just for their fins, or often left in the ocean alive without their fin. But others argue they're killed humanely and that the meal is a traditional dish. Tonny Louie, chair of Toronto's Chinatown business improvement area, said he wants more evidence on the harms of shark finning before a ban is put into place. "Of all the banning of any kind of ethnic items, this is the first, and it's done without any kind of thorough study," Louie said. "It is done without complete thoughts about how it can be enforced." Now that the bylaw is no longer valid, some store owners are hoping to sell shark fins again. "This is good for business," said Albert Lam, manager of the restaurant Gold Diamond. "Some people really like shark fin." Glenn De Baeremaeker, one of the city councillors who put forward the motion to ban shark products, said the judge was wrong. "Shark finning is a barbaric practice and it has to stop," he said. "We did the right thing banning it [and] the judge simply was wrong. What we do in Toronto affects people around the world and species around the world. We have to take action in the city of Toronto." 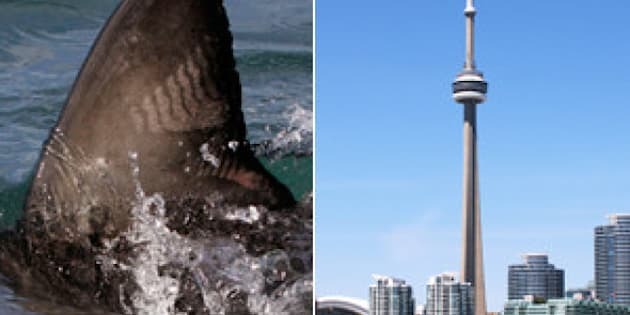 Mayor Rob Ford had argued in September before the vote that he did not believe the ban on the sale of shark fins was the city's responsibility and that he therefore would not support the motion.